This fact sheet provides information on spinal strokes. This fact sheet provides information on spinal strokes. Our fact sheets are designed as general introductions to each subject and are intended to be concise. Sources of further support and more detailed information are listed below in the Useful Contacts section. Each person is affected differently by spinal strokes and you should speak with your doctor or specialist for individual advice. What is a spinal stroke? A spinal stroke is a disruption in the blood supply to the spinal cord. 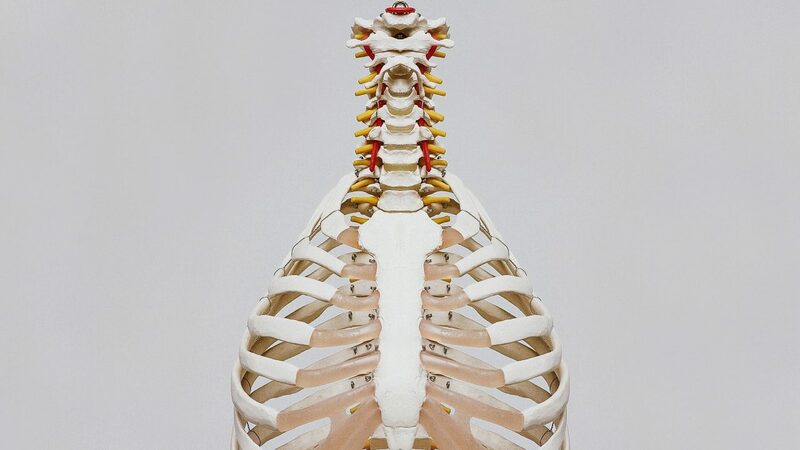 The spinal cord depends on a supply of blood to function properly. A disruption in the blood supply can cause injury or damage to tissues and can block messages (nerve impulses) travelling along the spinal cord. The blood supply to the spinal cord involves a complex system of blood vessels. The main blood vessels are the anterior spinal artery (at the front of the spinal cord) and the posterior spinal artery (at the back). Spinal strokes are most common in the anterior spinal artery. Most spinal strokes are caused by blockages (usually blood clots) in the blood supply. These are called ischaemic spinal strokes. Some spinal strokes are caused by bleeds. These are called haemorrhagicspinal strokes. Spinal strokes are a rare condition. They are less common than strokes that affect the brain. They account for 1.25% of all strokes. Messages (nerve impulses) from the brain travel along the spinal cord and control the activities of the body such as the movement of the arms and legs or the function of the organs (for example, the bowel and bladder). What are the symptoms of spinal stroke? The symptoms of spinal stroke depend on which section of the spinal cord is affected. The severity of the symptoms depends on how much damage is done to the spinal cord. In most cases, the onset of a spinal stroke is preceded or accompanied by sudden and severe neck or back pain. Other main symptoms of spinal stroke are muscle weakness in the legs, change in sensation (unusual feelings) in the lower half of the body and problems with the bowel and bladder. The symptoms of spinal stroke usually appear suddenly, over a matter of hours or even minutes. The symptoms or unusual feelings cause by the stroke can feel like a tight band has been drawn around the trunk (or torso) of the body. This is the point at which the blood supply to the spinal cord has been disrupted. The unusual feelings people experience can include numbness, burning or tingling sensations and the inability to tell the temperature of water or objects. Most spinal strokes are caused by a thickening or narrowing of the arteries that carry blood to the spinal cord. Some spinal strokes (ischaemic) are caused by a blood clot blocking one of the arteries supplying the spinal cord. A blood clot can form in these arteries or form in a blood vessel elsewhere in the body and travel (a clot is called an embolus when it’s travelling) in the bloodstream to the spinal cord. Clots commonly form where arteries have narrowed due to a build-up of fatty deposits (cholesterol) on their inner walls. The narrowing or furring of the arteries is called atherosclerosis. Some spinal strokes (haemorrhagic) are caused by one of the blood vessels supplying the spinal cord bursting and causing a bleed. The most common cause is high blood pressure which damages and weakens the arteries making them more likely to tear. Some people have this type of spinal stroke because they have aneurysms (balloon-like swellings in the arteries) which burst. Other less common causes of spinal strokes include abnormally tangled blood vessels called arteriovenous malformations (AVMs), benign blood vessel tumours called haemangiomas, spinal tuberculosis, spinal chordoma, spinal cord compression, cauda equina syndrome (CES) and secondary spinal tumours. There is also an increased risk of spinal stroke after abdominal surgery. At hospital, your medical history will be taken and you will have a physical examination as part of your assessment. The combination of weakness in the legs and unusual sensations is a sign of problems with the spinal cord whatever the cause. It is important to rule out any conditions which might be causing pressure on the spinal cord such as a slipped disc, an abscess, inflammation, or a tumour. People with any of these conditions will require specific treatment. The key test for spinal stroke is an MRI scan (magnetic resonance imaging scan). An MRI scan produces pictures of the spine using strong magnetic fields and radio waves. It differs from a standard X-ray as it produces very detailed pictures. The results of the scan will be checked to rule out any conditions which are causing pressure on the spinal cord and to confirm that the blood supply has been disrupted by a blockage or a bleed. As each person is affected differently by spinal stroke, your treatment will depend on your individual symptoms. Drug treatments are available for many of the individual symptoms of spinal stroke, including spasticity, sexual dysfunction and bladder and bowel problems. The outcome and extent of recovery also differs for individuals. If your spinal stroke was caused by a blockage (ischaemic) you might be given medication to thin your blood and make it less sticky to reduce your risk of blood clots. You might be prescribed an antiplatelet medicine like aspirin, which reduces the stickiness of platelets and therefore reduces the chance of a blood clot forming. Or you might be given an anticoagulant, such as warfarin, which works by interrupting the chemical process that allows a blood clot to form. If you experience these longer-term effects, you might benefit from the specialist services of physiotherapists, occupational therapists, continence specialists, clinical psychologists or counsellors. Provide support and information on spinal cord injuries and paralysis.